This disclaimer applies to the website www.opgevenisgeenoptie.nl (also accessible via www.alpe-dhuzes.nl). This site is owned by Stichting Alpe d'HuZes. By visiting this website and/or using the information offered through this website, the visitor of the website declares to agree with the applicability of this disclaimer. The Alpe d'HuZes foundation does not accept any liability that could result from the content of the website. Stichting Alpe d'HuZes explicitly rejects any liability regarding the correctness, completeness, topicality of the information provided and the (uninterrupted) use of this website. The information on this website is exclusively intended as general information for the benefit of the event Alpe d'HuZes and Alpe d'HuZus. No rights can be derived from the information on this website. Although Stichting Alpe d'HuZes takes great care in compiling and maintaining this website and uses sources that are considered reliable, the organisation cannot guarantee the accuracy, completeness and topicality of the information provided. The organisation does not guarantee that the website will function without errors or interruptions. Alpe d'HuZes and Alpe d'HuZus are trademarks of Stichting Alpe d'HuZes. All elements of this website are copyrighted by Stichting Alpe d'HuZes. 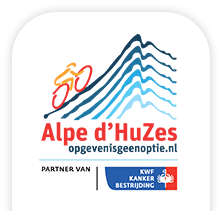 Alpe d'HuZes reserves all intellectual property rights and other rights regarding all information offered on or through this website (including all texts, graphics and logos). Stichting Alpe d'HuZes cannot be held responsible for the content, privacy protection or services offered on the websites of third parties to which is referred or which refer to this website. The use of such links is at your own risk. The disclaimer may change from time to time. Stichting Alpe d'HuZes reserves the right to change the information provided on or via this website, including the text of this disclaimer, at any time. This website and the disclaimer are governed by Dutch law. 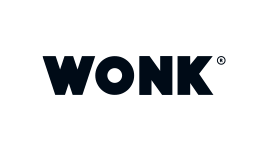 All disputes arising out of or in connection with this disclaimer will exclusively be submitted to the competent court in the Netherlands.